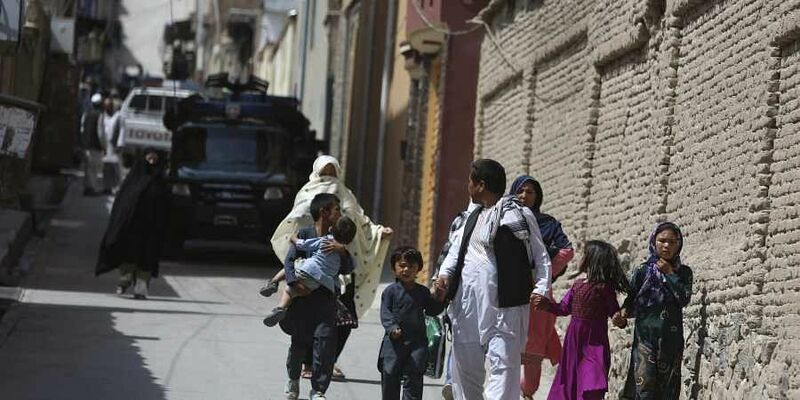 Officials said they feared the death toll could rise after the assault, the latest targeting civilians who have borne the brunt of the violence in Afghanistan's long conflict. AFGHANISTAN: Burqa-clad suicide bombers struck a Shiite mosque in eastern Afghanistan Friday as it was crowded with worshippers for weekly prayers, killing at least 29 people and wounding more than 80 in the latest attack on the minority. "Two suicide explosions happened during Friday prayers in the Khwaja Hasan area of Gardez," said Abdullah Hasrat, spokesman for Paktia province near the Pakistan border. The bombers wore "women's clothing", he said, and shot first at the mosque's security guards before opening fire on worshippers then detonating their explosives. "There were body parts, heads, limbs and arms scattered everywhere. The blood of the worshippers had painted the walls of the mosque... There were pieces of glass scattered all over," the 30-year-old told AFP. The surrender followed the Afghan army's decision to take over security in the eastern city of Jalalabad in IS's main stronghold of Nangarhar province after a spate of attacks, mostly claimed by the group.